Nissan has been big on teasing over the last year or so. The automaker has a bunch of new vehicles that have landed within the year and more are coming. One of the big launches will be the all-new Titan. 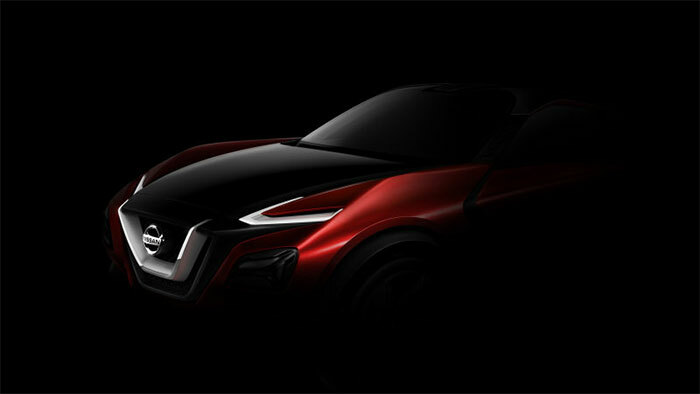 Today Nissan has released a teaser image of a crossover concept that will make its official debut at the Frankfurt Motor Show. Other than the dark teaser concept and the fact that it is a crossover, no details have been offered on the car. We know that a new Juke is coming based on a shared platform with a Nissan partner. The Juke is a big seller for Nissan and it is a small crossover. My money is on this concept being a teaser of the new Juke. The concept front end has the headlights on the corners of the fenders and has the raised bulbous fenders that the Juke is famous for. We can see a familial resemblance to the other new Nissans like the Murano and Maxima in this image. We expect more details on the concept during the lead up to the Frankfurt show.